If I’m getting 50 people “retweeting” a message that I never tweeted, that’s just weird, isn’t it? And he was right. It was pretty weird. First I wanted to find out if other JustRetweet members would like to see this new feature as well. You may have noticed on the site this past week, that I had a Qualaroo popup asking whether or not I should implement this on the site. I received quite a few responses overall and I saw that 47% of you wanted this feature, while 36% wanted to keep things the same. The other 17% had no idea what I was talking about. Based on the responses I decided to go ahead with adding this and it’s now currently live on the site. If you go to the Settings page, you will see a new option called Tweet your own submissions. If you set this to Yes, then every time you submit a tweet to the system, it will first post that tweet to your own Twitter timeline. Once enabled your followers will be able to see that people are actually retweeting something that you actually posted. Since there were enough people that liked the way things were, I decided not to make this the default behavior for now. So if you liked the way JustRetweet was working before, then there is no need for you to do anything. If you have any feedback, let me know in the comments. I’m glad this an option, not a default since I actually copy the tweet I want shared. It’s definitely a smart option since many people aren’t as addicted to Twitter as I am. This isn’t a bad idea at all just glad you gave up the option of say “yes” or “no”. I really appreciate the fact you instituted this , hence making it easy for bloggers to update their twitter account with awesome tweets from JustRetweet. This is an awesome feature. Thanks for adding it to the settings. I just adjusted my settings. I haven’t been on justretweet in a while. It’s feels good to be back. Thank you for your continued success! I’m confused about one point though – how will people know that you actually tweeted the tweet versus not tweeting it? Btw – I never saw the Qualaroo popup? What day was it up? Thanks for adding new features! Right now, there’s no way to know (inside of JustRetweet). You’d have to be following the person to notice. Do you see that as important info to see? I’m currently testing the Qualaroo popup on the Submit Tweet page. Do you see the current one that’s showing up now? Yes I did see the new question. It was about adding Facebook pages right? I’d love to see them added. I hope others agree. Chris I have another question – will the self-tweet post immediately or will it go out based on those time intervals we already have established? Ileane recently posted..Transform Your Blog To A Real Discussion Board Through Blog Commenting! Currently, they go out immediately. Would you prefer them to be scheduled as well? Yes, that would be helpful. But if it’s too much trouble, just add a little text on the page so people will know it’s not being queued. Also – can you add a reminder on the page where we submit the Tweet to remind us that we have it turned on or off? I quickly forgot I had it turned on and ended up double posting my own Tweet. Great idea. I’ll add that soon. Since the essence is to first tweet your own post before other retweet them i think it will be best if it goes immediately. Nwosu Desmond recently posted..Divorcing Evernote to marry Google Keep? That’s what I was thinking too Nwosu. Awesome feature I did not know this. I try to always tweet out things right away and I never considered this. I am VERY NEW to all this. What is the benfit to this feature being on? Now I know what it does, I am going to set it to yes. It make tweeting my message easier and I only have to enter it once. Love it!!! So stoked about the growth and flexibility of JustRetweet! Love JustRetweet and am so thankful to Kim Roach who told me about it in the first place! Hi there! I’m new and very much enjoying what you’ve got going on here. One question I have is whether or not it’s possible to arrange our RT’s not to have RT at the beginning of the tweet blurb–just the info about the tweet. Thanks and have a great day! Unfortunately that is not possible at this time. Sorry. First of all, I’d like thank you for building this great tool. No doubt that I use Justretweet service every day I and I can see it positive impact on my site. 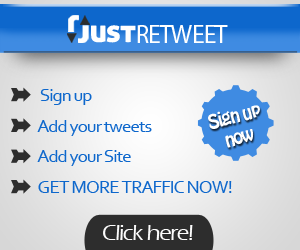 This site is growing and I’m pretty happy to see many people can be benefit from justretweet. Seriously this is one great feature i’ll like to see immediately. Just a question; how long will it take to roll out the great feature?